How do I select a climbing company? 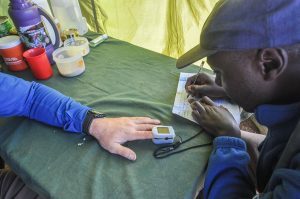 In selecting a Kilimanjaro operator, be sure to do significant research into the company you ultimately choose. All companies claim to be awesome but the fact is that there are a lot of bad Kilimanjaro operators out there. Experience – Climbing Kilimanjaro has its risks. People die every year and most of them could have been prevented. Who you climb with can save your life. Every company should have knowledgeable guides that know how to prevent and treat sick clients. Guides need proper training and experience. They also need to be assertive and have real leadership abilities. Kilimanjaro is not the place for a complacent or passive guide. When you look at a company, make sure your guides are well trained and will keep you safe. Do not climb with a newly formed company. This is your life. Why trust someone blindly? Equipment – The tents and other equipment utilized should be able to cope with the demands of the mountain. Operators should use tents from established, known brands (Western standard) and have fresh inventory periodically to replace damaged tents. A cold, leaky tent is not acceptable. Ask your operator what kind of tents they use. If they are of an unknown origin and quality (such as locally made brands), look elsewhere. Porter Welfare – Operators take advantage of their staff will likely take advantage of you too. Look for companies that treat their employees well, especially their porters. Please do not be ignorant or carefree of the suffering that occurs behind the scenes (see Guide and Porters page). Choose KPAP partner companies to be a responsible tourist. Customer service – Operators should be responsive and informative to client requests and questions. I prefer companies that tell you the truth, rather than what you want to hear. If everything an operator says is full of rainbows and unicorns (as is when dealing with Tanzanian salespeople), take it with a grain of salt. Price – More below on this. Most of the reputable companies have operated for ten or more years and have thousands of successful climbs under their belts. Be sure to search for independent testimonials on the internet, or ask the company to provide you with contact email addresses and phone numbers of recent clients. Climbing Kilimanjaro is a potentially dangerous activity, so put forth an honest effort in your research. 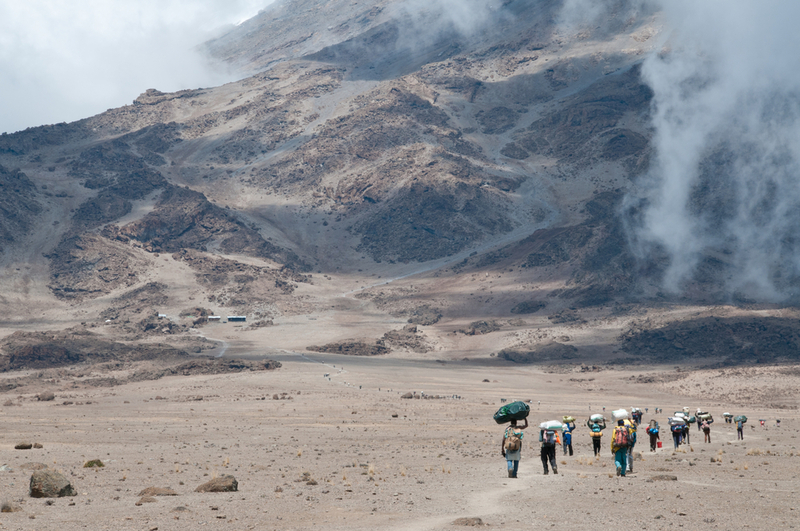 The price to climb Kilimanjaro varies tremendously from operator to operator. At the top of the price spectrum are the international companies. Most international companies charge $4,000 to $6,000 per climber. They send western guides to accompany the clients on the climb. They typically have the best equipment and most luxurious of amenities before, during and after the climb. Companies such as Mount Travel Sobek, Kiliwarriors, Thomson Treks, Tusker and Mountain Madness run excellent treks and have hefty price tags to go along with it. These luxury operators are all members of KPAP, and all are well known, established companies who have top notch operations. If you don’t mind spending the money, these are your choices. However, I would not personally recommend these companies, or any company for that matter, that charges that much money to climb. If you are looking for more reasonable options, there are higher end local companies and international companies who provide all of the support required for climbing, but do not offer the often unnecessary services of the high end companies. Mid range operators charge between $2,000 to $3,500 per climber. There are great, reputable companies like Peak Planet and Ultimate Kilimanjaro that seek to provide a true backpacking experience without sacrificing safety and professionalism. These mid range operators are both members of KPAP. Both are also popular, highly praised operators with a long track record of service. There is not much of a difference between the most expensive operators and these established mid-range companies, except for the price tag. After extensive research and experience, these are the two Kilimanjaro companies I would personally recommend. Because I have climbed three times I have a better perspective in comparing companies than nearly anyone else who has climbed, besides the operators themselves. I have seen the good ones and the bad ones, and even the very bad ones. 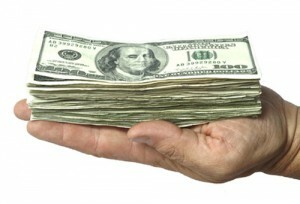 Low budget companies charge from $1,500 to $2,000 per climber. At the lower end of the price spectrum are the local Tanzanian companies. Most are poorly outfitted and unprofessionally run. To obtain customers, they promise everything but usually fail to deliver. They are not KPAP members and they do not treat their porters right, and for that reason alone I despise them. But they do not even provide good services, so no one should use them. PLEASE avoid the low priced local companies -at all costs, literally. My personal recommendations for Kilimanjaro operators are Peak Planet and Ultimate Kilimanjaro for the best prices and service.